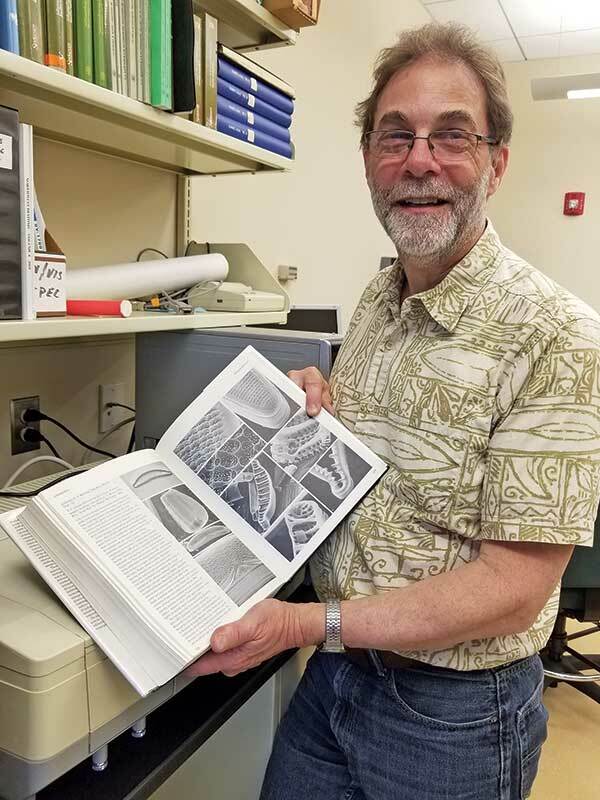 After 32 years, Northern Vermont University’s environmental science professor and resident diatom devotee, Dr. Robert Genter, retired following the fall semester. And although he will no longer be teaching, he doesn’t plan on resting on his proverbial laurels when it comes to science. If Genter has his way, he will continue much of his research on campus in the artificial stream lab he built on the third floor of Bentley inside the greenhouse. It is there that he conducts controlled experiments, which he wants to apply to the situation with the state’s copper mine water contamination and then publish his research. As his final semester has wound down, Genter has contemplated what his legacy would be. “A friend introduced me to this concept—his mom would always ask him, ‘Did you do your best?’” And then my wife always says that we’re all just doing our best. So, I think that’s all that we can ever ask people as a legacy, that we just give it our best,” he said.